Hi Lovelies! Today's blog post has been highly requested! 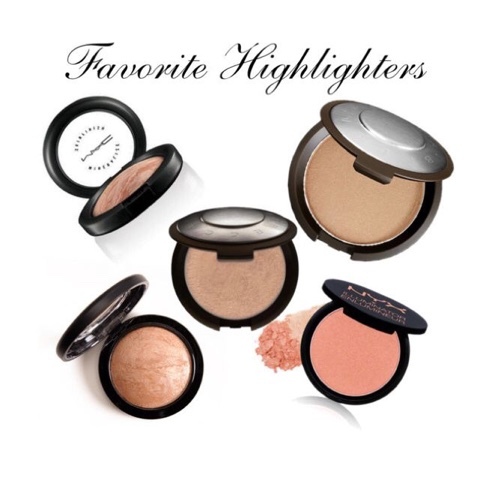 I am happy to share with you all my top five highlighters at the moment. Let’s get right into the Glow! 1. 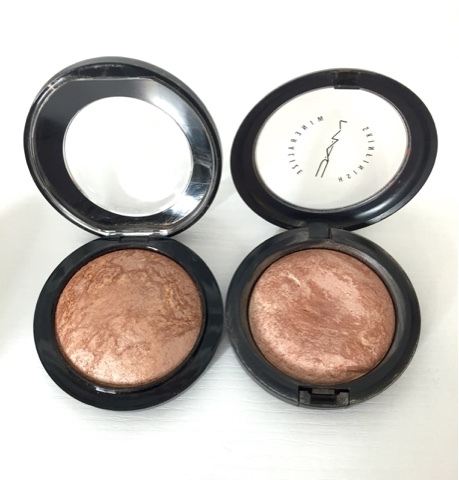 Mac Soft and Gentle – This highlighter is one of Mac’s bestselling and it has been in my top favorite for a while now. 2. 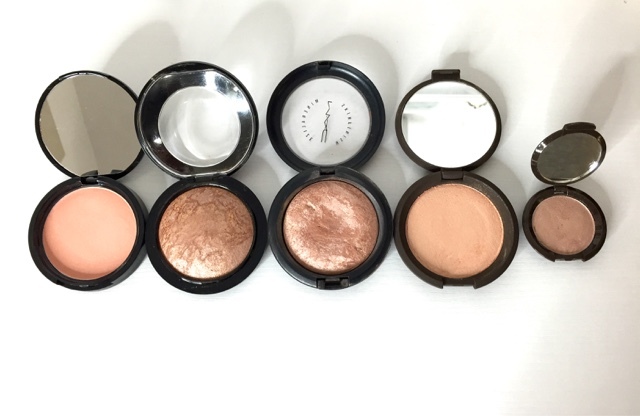 Becca Champagne Pop - Amazing! One of the best highlighters for all skin tones. 3. 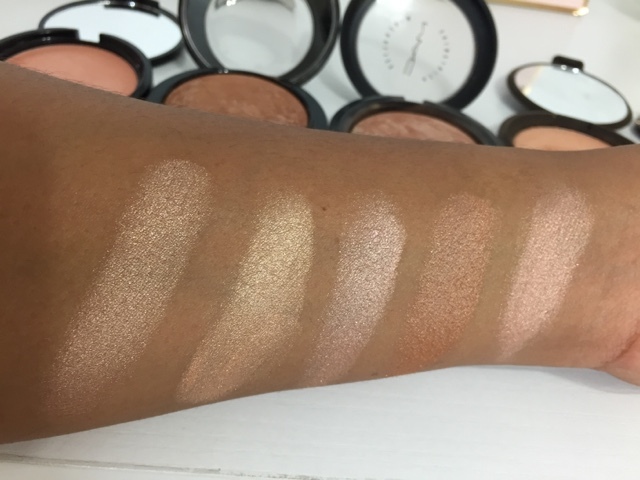 Mac Global Glow- I absolutely love this highlighter! It’s perfect to get than Golden Glow (JLO). 5. NYX illuminator Narcissistic - if you are looking for affordable highlighter I totally recommend this one from NYX. I love applying this highlighter over my bronzer for the perfect golden glow. Hi Lovelies, Happy Monday! I hope you all had amazing weekend. Today I wanted to share a simple contouring tutorial for all of you who are just starting to get into the world of contouring. If you follow me on Instagram you know I loved contouring my face. Who does it want to have a nice sculpt face??? I know I DO! Here is my contouring for beginners tutorial! I know a lot of you are nervous when it comes to contouring your face but I promise you it’s not as difficult as it seems. Follow the below steps to contour like a pro. 1 PREP - Start by applying a light base of foundation or BB cream to a moisturized and primed face. (I used nars weightless foundation, hourglass prime serum and benefit porefessional). 3 CONTOUR – Use a dark shade to emphasize the natural hollows of your face and sculpt for a more define shape. Use a matte shade – not shimmery. 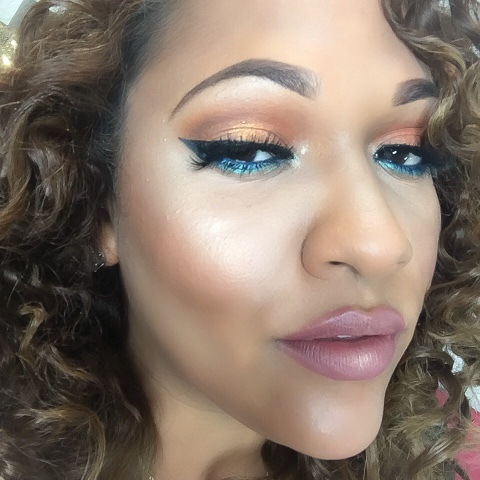 (I used LA Girl Pro Conceal in beautiful bronze). 4 BLEND – Blend the highlighted areas first with a brush or a sponge. Then blend the contour areas into the highlight for a flawless seamless look. (I used the original beauty blender to blend). 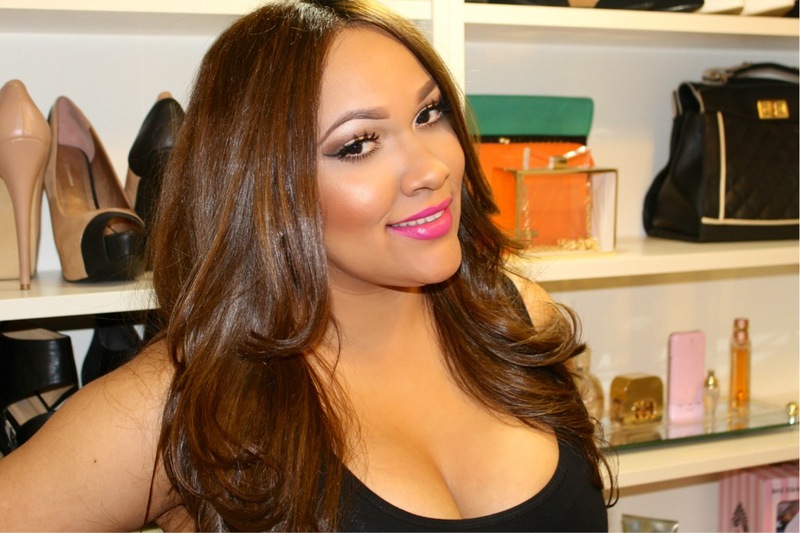 5 FINISH – Set the makeup with setting powders add blush and highlighter. Then lock the makeup into place with a setting spray. (I used ABH contour book, Mac deep dark mineralize skin finish, becca champagne pop highlighter and mac fix +). P.S. 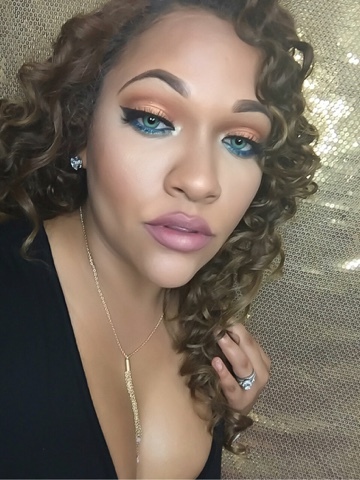 if you try my contouring technique don’t forget to tag me in your pictures on IG using #katelovestyle! !Hola mis Amores Feliz Lunes! Espero que haigan tenido un maravilloso fin de semana. Hoy quería compartir un sencillo tutorial de contorno e iluminación para todas aquellas que están empezando a entrar en el mundo del contorno. Si me sigues en Instagram sabes que me encanta contornear mi rostro. Quien no quiere tener una cara bonita escultura??? Aquí está mi contorno para principiantes! Sé que muchas de ustedes están nerviosas cuando se trata de contornear la cara, pero les prometo que no es tan difícil como parece. Sigan los pasos para perfilar como una profesional. 5 pasos para contorno y resaltar tu rostro. 2 RESALTAR - usa un tono claro mate para resaltar e iluminar la estructura natural del hueso de la cara. (Yo usé LA Girl Pro Conceal in Creamy Beige). 3 CONTORNO – usa un tono oscuro para enfatizar lo natural los huecos de la cara y esculpir para una forma más definida. Usa una sombra mate – no brillo. (Yo usé LA Girl Pro Conceal in beautiful bronze). 4 MEZCLA – primero se mezclan las zonas resaltadas con una brocha o una esponja. Luego se mezclan las áreas de contorno. (Utilicé la esponja de beauty belnder). 5 FINAL - Set el maquillaje con polvos agrega blush y highlighter. Luego sella el maquillaje en su lugar con un setting spray. (Utilice ABH contour book, Mac deep dark mineralize skin finish, becca champagne pop highlighter and mac fix +). P.d. : Si tratas de mi técnica de contorno no olvides de etiquetarme en las fotos en IG con #katelovestyle! Happy Monday Lovelies, Its Ipsy Time! How cute is this August bag? I am loving the print and the Prep School theme! I was very pleased with the August bag products :). Let’s see what’s inside my August Glam Bag! 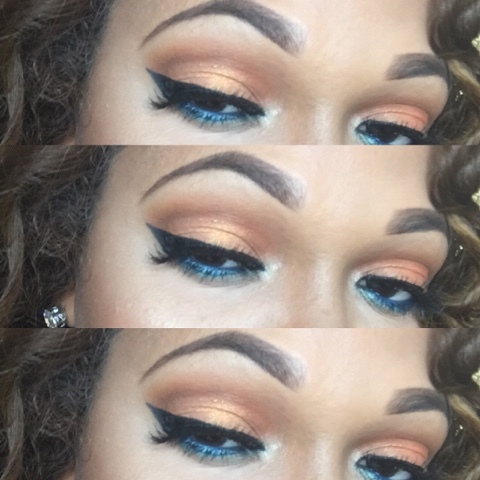 Starlooks Luxe Longwear Eye Liner – You know I loved me some eyeliner! I was so excited to get this in my bag this month. This eyeliner is very black and goes on very smooth. Great lasting power! Thank God they send me a full size. Ofra Cosmetics Lip Liner in Wine – Just in time for Fall! I fell inlove the minute I swatch this lip liner, I knew it reminded me of a color I had. It’s a dupe for my favorite Mac lip pencil Spice! Juara Skincare Radiance Facial Mask – I only use this mask once and I did not notice any changes in my skin. The only thing I experience was burning skin after I applied this mask. I will give this mask another try but not sure yet if I will purchase the full size. Marc Anthony Argan oil – I was excited to try this oil in my hair. This product left my hair so smooth and the smell is just amazing. The formula of this oil is very light it’s not sticky oil. Tarte Lipsurgence lip gloss in energy – This lip gloss is amazing! I will definitely purchase the full size. This gloss is perfect for a sheer and natural look. It enhances the natural pink undertones of your lips. Best part of all its not a sticky gloss. P.S. If you are not subscribed to Ipsy go ahead and take advantage of the no wait-list offer! Hi Lovelies! Happy Wednesday! Today blog post is going to be my July favorite beauty products. July flew by and I didn’t get to wear lots of makeup because summer is way too hot and who wants to pile all that makeup on their face? I can’t believe summer is almost gone and Fall is only few weeks away! Where does time go??? Since – I did not get to try lots of products during July my list is little short this month with only 6 products to talk about but trust me they will change your life. NARS All Day Luminous Weightless Foundation – I was in the market for a new foundation to replace my mac studio fix NC42 and after doing some research, I decided to buy the NARS foundation in the color tahoe (first time using Nars). OMG I am so glad I got it! This foundation is amazing! It matches my skin tone so well giving me a full flawless coverage. WHY I LOVE IT– lightweight (perfect summer days), Full Coverage, long wearing, a little be goes a long way, and it gives you a glow. Laura Mercier Translucent Loose Setting Powder – OMG why did I waited so long to purchase this setting powder? This powder is worth every penny! I have been using this powder to set my highlight and foundation and all I have to say is go and buy it so you can see how amazing this stuff is. WHY I LOVE IT – reduces shine, flawless finish, matte finish, long lasting, prevents creasing, makes foundation last longer. 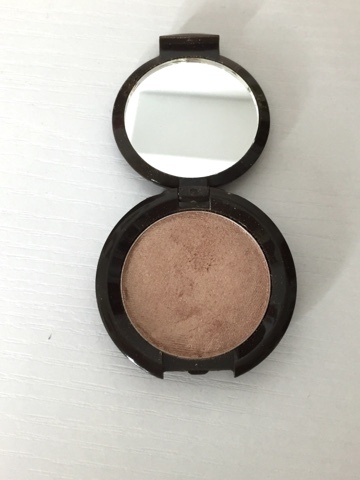 Becca Jaclyn Hill Champagne Pop – This Highlighter is everything! Get your hands on it while you can! 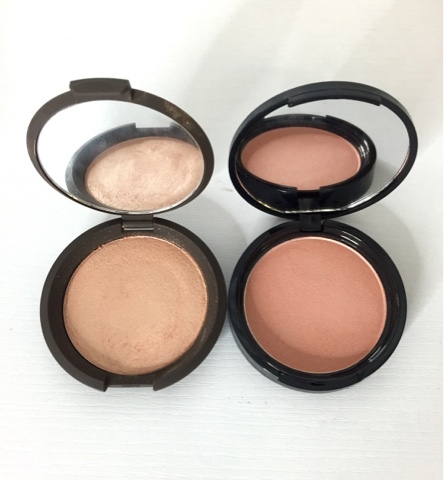 It took me some time to find another highlighter that I will love as much as my mac soft and gentle and I have to say champagne pop became my go to highlighter this summer. Prep + Prime Fix+ Lavender – I am a fix plus addicted! So when mac release the new scented fix plus I knew I had to get my hands one at least one of them. I picked the lavender scent it’s so refreshing and relaxing. I used fix plus to set my makeup and to make eye shadows color pop. The smell is amazing when you spray it but it goes away when its set and dry on your face which I love that because I can’t handle to have too many scented products on me. (Perfume and that’s about it). I think this scent is sold out but you can check your local Mac or just buy the original its as good as this one. GlamGlow Supermud Clearing Treatment – So after so many YouTube videos and Desi Perkin snapchat using this I had to buy it! This is a Holy Grail Mask! This product does exactly what it claims to do. I don’t get any acne on my face; I just get blackheads and some dark spots. After applying this mask my face was so smooth, bright, soft and clear. I totally recommend this mask even though is on the pricey side. BH Cosmetics Essential Eyespalette – When I saw this palette online I knew I had to get it (online pic those palette not justice you need to see it in person). I love a versatile palette! This palette is great for day and night use. The colors are so beautiful and pigmented. I was blown away by the quality of this palette its super affordable go get yours! Let me know what are your July favorites? Happy Monday Lovelies! I know I have been MIA again for a bit, but I have just been so busy /sick lately that I haven't had any time to do videos or new blog posts. Today I’m sharing with you the 6 shades I bought from the new NYX liquid Suede Lipsticks collection! First thing I want to say is they are amazing for $7 compare to all the liquid lipsticks in the market for $20 and up each. The reason why I did not buy the entire collection was because I assume the lighter/neon colors will streak and be more on the blotchy looking side. These new liquid suede lipsticks are very similar in texture to the soft matte lip cream collection. 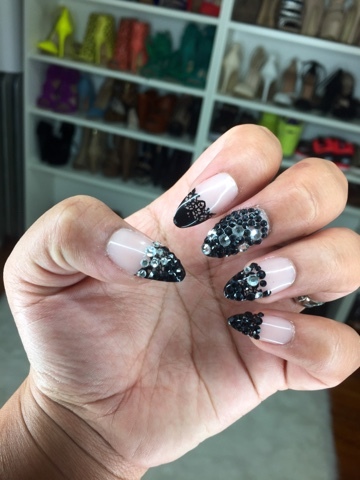 They go on very creamy and dry to a matte finish formula. 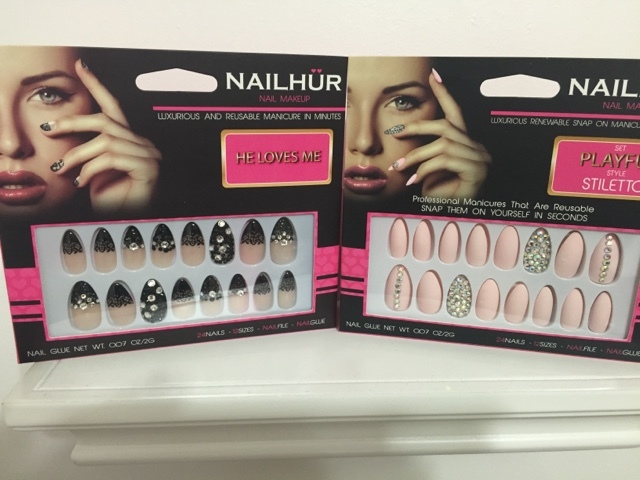 The packaging is cute and straight forward. They last about 6-8 hours (through food and drinks). I totally recommend these lipsticks, to all of you ladies and big thumbs up to NYX on this new collection! P.S. 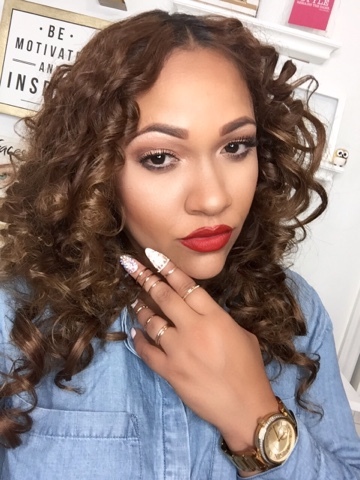 This review is no sponsored I purchased my own lipsticks and this is my honest review. ¡Hola mis amores! 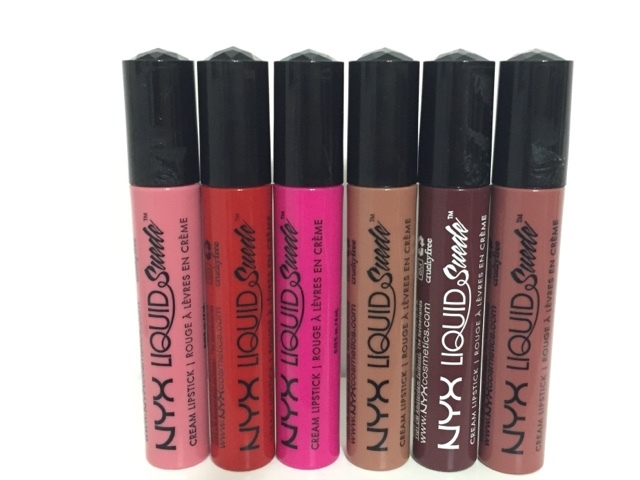 Hoy estoy compartiendo con ustedes los 6 tonos que compre de la nueva colección de labiales líquida de NYX! Lo primero que quiero decir es que son sorprendentes por $7 en comparación con todos los labiales líquidos en el mercado por $20 ^ cada uno. La razón por qué no compré toda la colección fue porque supuse que los colores neón/claros no se iban a ver bien en los labios. Estos nuevos labiales líquido son muy similares en textura a la colección de Soft matte Lip Cream. Son muy cremosos y secan en una fórmula de acabado mate. El empaque es lindo y practico. Duran de 6-8 horas (a través de alimentos y bebidas). Recomiendo totalmente estos pintalabios, a todos ustedes y felicito a NYX en esta nueva colección! *Esta revisión es no patrocinada he comprado mis labiales y esta es mi revisión honesta.